If I’m So Smart, Why Do I Feel Like A Failure? Was this you? You were told repeatedly that you were so smart; that you had a high IQ. You were the top student. Your parents and teachers praised you often for your abilities and achievements. School was easy so you could get high grades without studying. You won awards. Teachers said that you were gifted. Your parents said that you’d do great things when you reached adulthood; That you could do anything you wanted. Expectations were high. And so was the pressure. But you didn’t realize it at the time. Until you got to college. Suddenly, you were surrounded by smart kids. You were no longer the star. Not only that. Some of your classes were hard; studying was required. Studying? What’s that? You got your first “C.” You loved psychology and philosophy but you’d never faced a workload like this. No one else seemed to be having trouble. You started procrastinating, as usual, but last minute finishes didn’t work anymore. It was confusing and overwhelming. Your identity was crumbling; you became anxious and depressed. In your mind, it became clear that you’d been faking your smarts all of these years. You weren’t gifted. Never had been. You’d gotten by on your charm. Now charm wasn’t enough. You were a failure. Every little mistake, every question you couldn’t answer. Failure. Let me give you a hug and an explanation. Kids who are gifted are often told, repeatedly, how smart they are, by well-meaning adults. High grades and other achievements may be praised excessively. 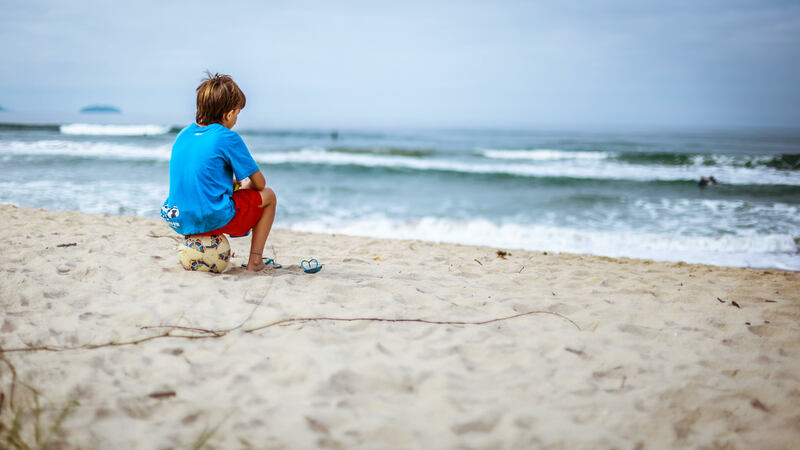 This can lead children to believe that they’re loved because they’re “so smart.” Their identity becomes dependent, then, on their capacity to continue to show their advanced abilities and on the praise and attention they receive. This can lead to unhealthy perfectionism: fear of failure, avoidance of activities that don’t guarantee success, impostor syndrome and procrastination. It can lead to anxiety and depression. Being smart becomes a static thing. You either are or your aren’t. And because you’re used to learning many things quickly, you think that’s the way all learning should be. If you don’t get it fast, well, it just proves that you’re not gifted. Not gifted? Not lovable. Understand that your worth as a human isn’t due to your accomplishments. Your worth is about who you are, not what you do. It will take time to really believe this. Make a list of your values. What do you appreciate about others? Compassion? Generosity? Sense of humor? Can you admire these values in yourself? Imagine your life as a work in progress or as a form of artistic expression. Focus on the journey or the process instead of the product or the outcome. If you’re in school, design a plan for studying and completing assignments. Break projects down into smaller steps. Look for resources online about dealing with procrastination, perfectionism, expectations, and fear of failure. Learn about Dweck’s more recent work on mindsets. Even if giftedness is the way your brain is wired, that doesn’t mean it’s an all or nothing phenomenon. You can still have strengths and weaknesses. You can make mistakes and still be a lovely human. You can have high standards and not be perfect. Make a list of your thoughts and beliefs about your “failures.” Are they rational? Replace your irrational beliefs with what’s actually true. If you’re really struggling, try this book. The book includes ways to self-soothe and calm your anxiety. Read biographies of eminent people and make note of their struggles, mistakes and failures. Elon Musk and Steve Jobs failed multiple times. If you’re a parent, encourage your child to engage in activities where they need to struggle. They will learn how to deal with mistakes, failures and set backs and will form a stronger sense of self. And finally, hold on to your dreams! Even if you feel discouraged and anxious some of the time, or a lot of the time, there is love in you. There is beauty in you. You can do this. To my bloggEEs: Thank you to the reader who inspired this post. Share your thoughts, feelings, questions and dreams here, please. We all benefit from your experiences! Tags: Carol Dweck, education, Elon Musk, failure, gifted children, impostor syndrome, intelligence, parenting, perfectionism, praise, procrastination, Steve Jobs | Permalink. I know. You’re not gifted. If you were gifted, here are some things you would need to know. 1. Intelligence is not a fixed, hard, immutable thing. Intelligence is not an either you-are or you’re-not situation. Sure, you have a rainforest mind. You’re smart, sensiti ve, empathetic, analytical, creative, intense, perfectionistic and complicated. But that doesn’t mean that your traits and abilities can’t shift, change and grow. That doesn’t mean that you can’t be confused, dumb, embarrassing and a complete failure some of the time. The key, according to Carol Dweck, author of Mindset, is that you’re open to growth. That you love learning. And, when you think about it, it’s all learning. One way or another. And, I know your mother told you this but maybe you’ll listen to me: You learn more from your mistakes and failures than from your successes. Think about it. 2. Your mistakes, failures, and embarrassments. Entertaining stories for holiday gatherings, memoirs, and TED talks. 3. Intelligence is not the same as achievement. Some people who are extremely bright, have not graduated from college, have not discovered relativity, have not won a Nobel prize and are not billionaires. I might also suggest that the reverse is true. High achievers and rich people are not necessarily extremely bright. I won’t mention any names. 4. Effort and sustained practice are required for outstanding achievement. You may have believed that if you were truly gifted, you shouldn’t have to exert effort to produce greatness. You’d be wrong. 5.Remember that long odd conglomeration of things from my last post? The list of reasons you might feel like an impostor? 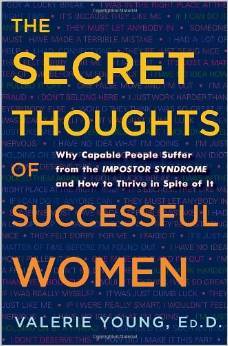 Valerie Young makes sense of them in her book The Secret Thoughts of Successful Women. Check it out. 6. And, finally, here’s the thing. The Thing. As you struggle to understand and accept that you have a rainforest mind, that you may, in fact, be g-g-gifted, imagine that there’s something you’re here on the planet to do. No pressure. Don’t get all nervous on me. Well, maybe a little pressure. It doesn’t need to be something “insanely great.” It’s not about that. You know what I’m talkin’ about. You’ve felt it. Begin to open to the possibility that now is the time to find it, feel it, do it and be it. I hope I didn’t just freak you out with that last part. I promise to help you figure it out. That’s why I’m here. That’s what I’m here on the planet to do. Tags: achievement, Carol Dweck, creative, failure, gifted adults, impostor syndrome, intelligence, Mindset, sensitive, success, Valerie Young | Permalink.